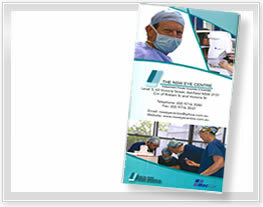 Cataract surgery is the most common operation in the developed world. A cataract occurs when the natural lens of the eye becomes cloudy causing vision to become blurred, hazy or foggy. 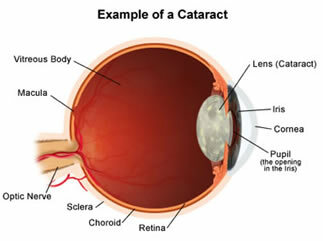 Cataracts occur as a normal part of ageing. They mainly occur in people over the age of 60, however they can occur in people who are younger. They usually develop slowly and at a different rate within each eye. Most at risk are people who have a family history of cataracts. They may also develop as a result of injury or eye disease and can also be associated with medical conditions such as diabetes. Both smoking and prolonged exposure to sunlight increase the risk of cataracts. Should a Cataract be removed? Once a lens becomes cloudy it will not recover its normal clarity. If you do not have surgery your symptoms and condition may continue to worsen. Usually the deciding factor is how much vision you have lost, and how much this interferes with your enjoyment of life. Age is no barrier to having the operation or benefiting from it and you do not have to wait until your vision is very poor before having surgery. Surgery is needed to remove the natural cloudy lens and replace it with a permanently implanted artificial lens, called and intraocular lens (IOL). This transparent plastic disc has a similar shape to the natural lens. Many different types of IOL are available to suit different cases including monofocal lens, Toric lens, and multifocal lens. 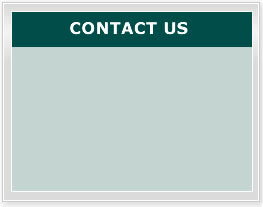 Your surgeon will discuss with you the best type of lens to be used to correct your vision problem. Most cataract surgery is performed on a day only basis under local anesthesia and a light sedation. Normally, cataract surgery will restore the distance vision that you had before the cataract developed, although you may still need glasses for some activities. After the procedure, your surgeon will prescribe eye drops and arrange for you to return for post-operative care over the following weeks.